New Construction - Paving Professionals, Inc. 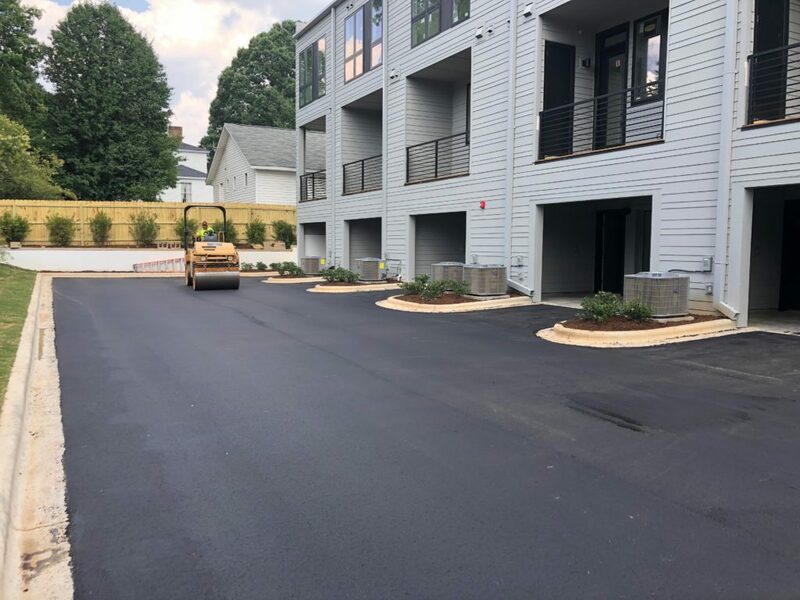 If you are in need in finding a paving contractor or asphalt contractor for a commercial, industrial or a residential project that will need grading and/or paving work Paving Professionals, Inc is the company to call. Our company will review and analyze the existing surfaces to make sure you have a stable base for the paving. 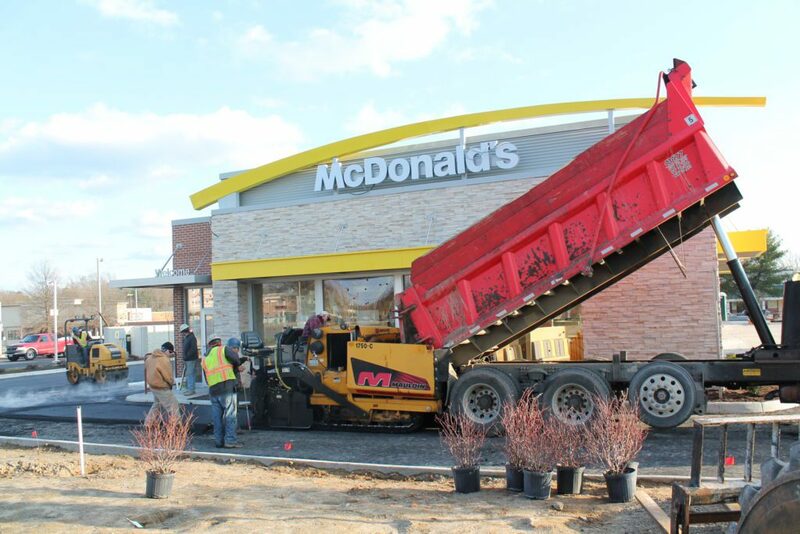 Our new construction asphalt paving services include rough and final grading, asphalt paving, concrete curbs and gutters, swales, striping, signage, and wheel stops. We are a one stop shop for all your needs. 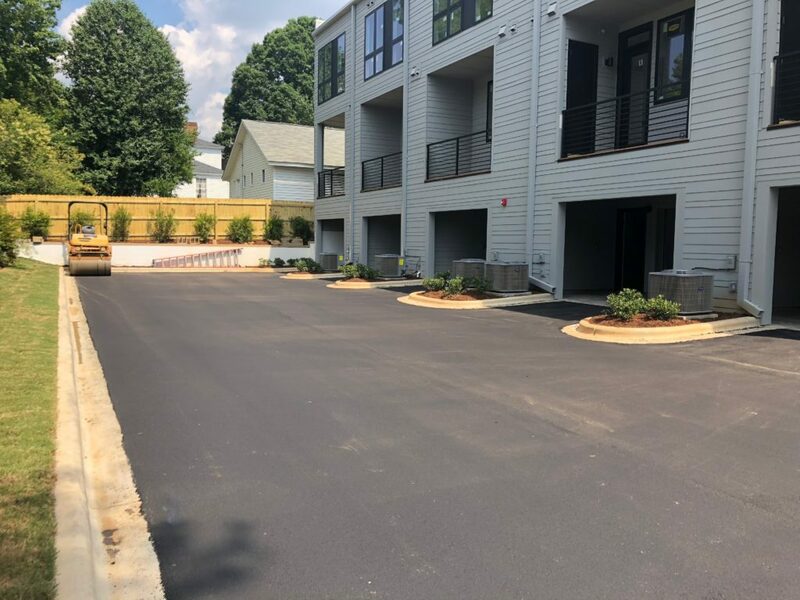 Our paving crews will manage anything from small projects to large industrial and commercial projects, adjusting to your needs using different types of asphalt pavement. The traffic consideration will be reviewed and analyzed to make sure the asphalt can withstand the traffic needs, customizing every project to meet customer expectations and engineer expectations. During the process our team will review grading issues, site conditions, and pre-existing conditions to make sure that before we start paving, the site is in good shape to receive the additional loads. 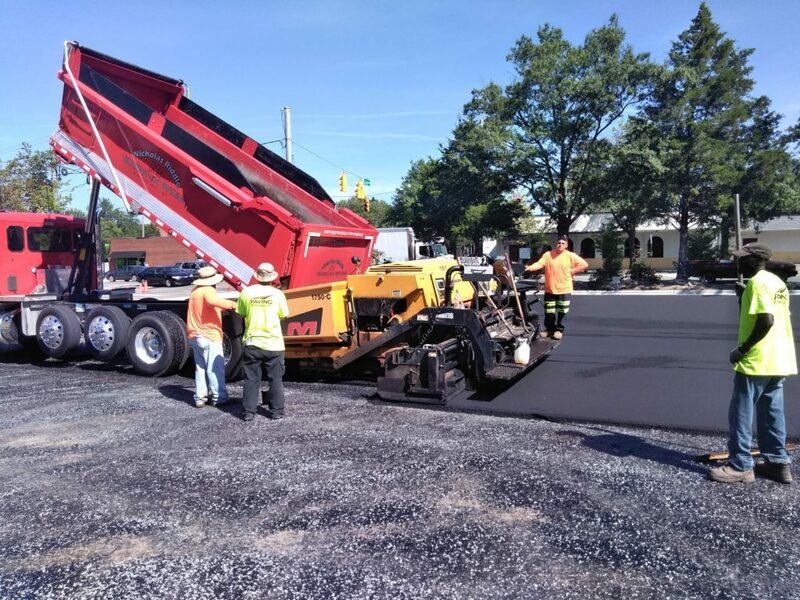 Our experienced staff will determine the best asphalt paving mix and will discuss with you the benefits of using the different types of paving mixes. Strength and durability to last for many years. Withstands freezing and thawing and other environmental conditions. Asphalt pavement is flexible, meaning that due to its elastic characteristics it can accommodate and dynamically accept loads from traffic and equipment. It can be repaired easily. It is more economic than other paving surfaces. At Paving Professionals, Inc we will make sure to pave at the right temperatures, looking out for your interest and saving you money by avoiding costly changes due to improper management of asphalt. Our team will work fast and professionally using the right labor and equipment. 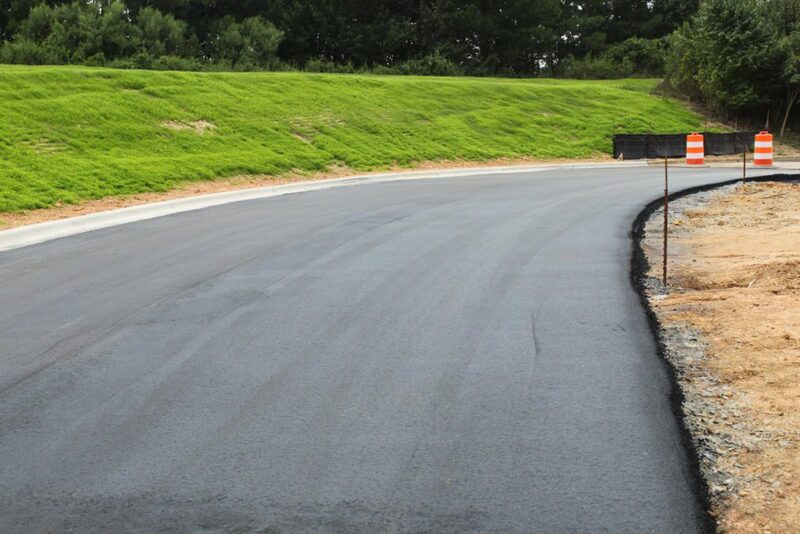 We offer different asphalt mixes designed to meet your needs. Whether a whole new road needs to be created or just a pothole filled in, we provide the correct asphalt mix. Our asphalt mixes are all NCDOT superpave mixes. Our team will make sure that the paving is placed under the right weather conditions, at the right temperature and is being paved using the right equipment. 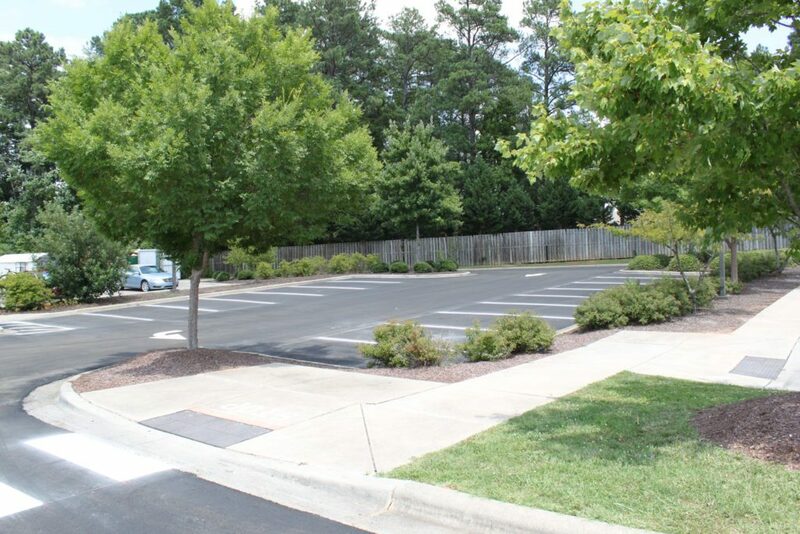 Our trained personnel will review and make adjustments during the process to manage unforeseen conditions, so there won’t be any surprises at the end or rework needed during our asphalt paving process. Let our helpful staff complete the project using the right specs for your needs.